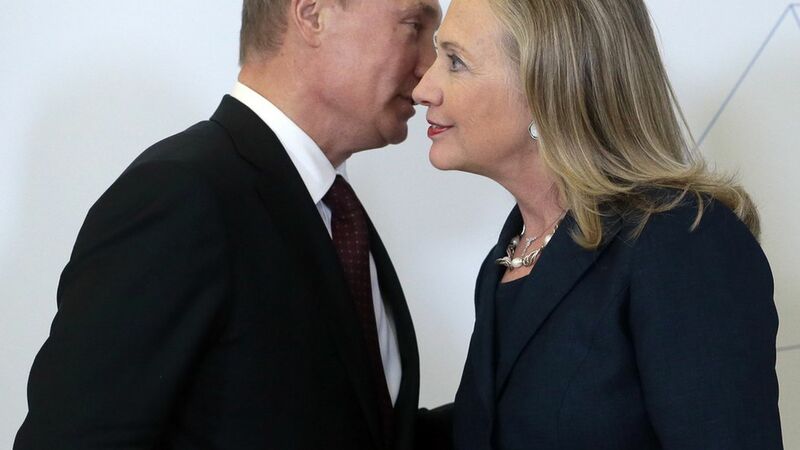 President Trump said Wednesday that Vladimir Putin would have preferred Hillary Clinton win the 2016 election, in part because the U.S. is exporting more energy than it would have under Clinton. He's right that the U.S. is probably going to export more natural gas and oil under his administration than it would have under Clinton — as for the broader point about Putin wanting Clinton to win, I'll leave that to others to debate. Why it matters: The never-ending story of the day seems to be how deep ties run between Trump and Russia. On energy, Trump doesn't seem to be softening plans that go against what Putin wants. The president appears genuinely serious about encouraging more oil and natural gas production and exports that will hurt Russia, whose economy is heavily dependent upon such exports. The quote: "We're going to be exporting energy – he doesn't want that," Trump said in an interview with CNB published in part on Wednesday. "He would like Hillary where she wants to have windmills. He would much rather have that because energy prices would go up and Russia as you know relies very much on energy." The other candidate: As secretary of state, Clinton was actually quite aggressive in touting how American oil and natural gas can be used as a geopolitical tool influencing other nations. But during the presidential election, Clinton adopted more liberal policies against fossil-fuel production as she responded to Bernie Sanders' campaign. Maybe Clinton would have moved back to the center on this issue as president, but she nonetheless would have been more susceptible to giving into pressure from environmental groups in a way Trump isn't. this week about natural-gas exports.